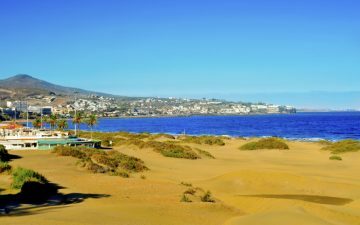 Lanzarote draws many holidaymakers because of its exceptional all-year round climate, turquoise waters and miles of sandy beaches. It also has a dramatic volcanic landscape, which has featured in several recent BBC “Dr Who” episodes and the caveman and dinosaur film “One Million Years BC”, starring Raquel Welch. 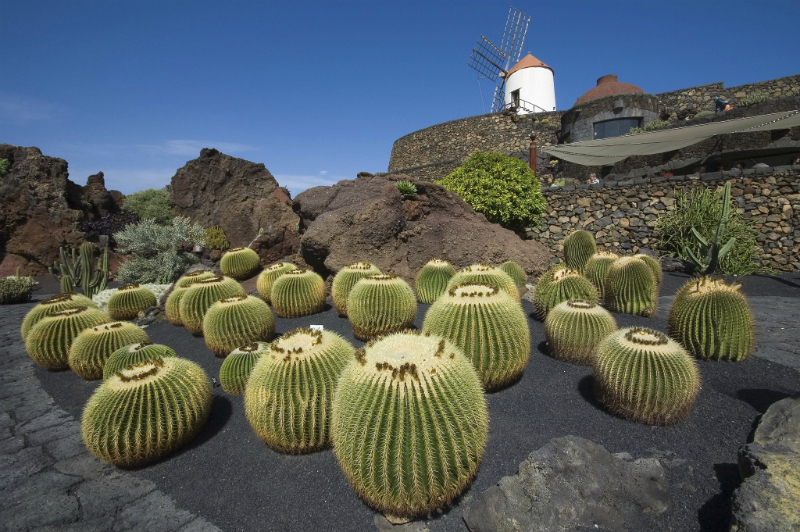 But there’s a lot more to Lanzarote, the largest of the Canary Islands, than meets the eye. 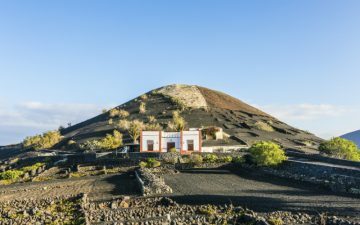 This modern art gallery was established on the initiative of the Canarian artist, César Manrique, Lanzarote’s most famous resident, whose influence is everywhere. He urged caution in the late 1960s as package holidays took off and the building frenzy began. It is thanks to him that there are no high-rise buildings, and that advertising hoardings are banned. The Museo de Arts Contemporáneo or International Museum of Contemporary Art is housed in the old military fortress of Castillo de San Jóse (built in the 18th century to ward off pirates), which was refurbished under the supervision of Manrique. It contains a few early works by the artist, as well as works by Miro, Rivera, Sempere, Millares and Tapies. You can also visit the house and studios of César Manrique, his first project in Lanzarote after his return from the USA in 1966. Constructed to his design in Tahiche, it aims to create a symbiosis between man, nature and art and is constructed in an interesting series of volcanic bubbles. At first approach, the house features traditional Canarian styles at ground level, including wooden doors and shutters, a courtyard garden and North African-style chimneys. However, once you step inside it soon becomes clear that this is a house like no other. It also contains precious art work by Picasso, Miro and others. Timanfaya National Park is home to the Montanas del Fuego or Mountains of Fire, which were created in the early 18th century when more than 100 volcanoes belched into life and destroyed over 50 square kilometres of land on the west coast of the island. You need not expect any further eruptions as the last ones were in the early 19th century and the landscape has been virtually unaltered since 1736. It provided the haunting backdrop for both music videos by the Manchester pop group, The Stone Roses, “I Wanna be Adored” and “Fools Gold”. Access to the park is strictly regulated so it’s not possible to walk freely among the volcanoes. However, there are free guided walks (available in English) along two paths. Entrance to the site includes a coach tour of the volcanoes with an audio commentary. If you prefer, it’s also possible to arrange a tour by camel. One of the many excursion options available on your package holidays to Lanzarote is taking a trip in a yellow submarine. The submarine safari operates from the marina of Puerto Calero and explores the teeming life around Lanzarote’s volcanic coast. The submarine, Sub Fun Tres, measures has two large viewing windows at the bow and stern as well as 22 large viewports, 11 on each side. It dives to a depth of 30m and can accommodate 48 people in comfort. An on-board guide points out the unfolding flora and fauna as you go. The trip lasts around an hour and a free shuttle bus operates from all the major resorts on Lanzarote. 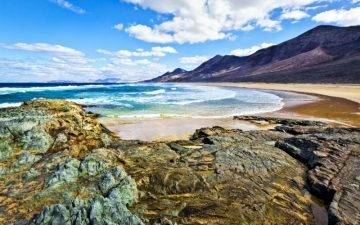 While many sun-seekers make a beeline for popular beaches around Tías, Playa Blanca, Costa Teguise and Famara, a great option for some peace and quiet is the tiny island of La Graciosa. Just half-an-hour’s ferry ride from Lanzarote will take you to a quiet, sleepy village, Caleta del Sebo, with a handful of whitewashed houses – there are no hotels, very few vehicles and no roads. Here you’ll find quiet beaches, azure sea and a handful of waterside fish restaurants. Try El Girasol on Calle la Popa for fresh seafood – the vieja, or parrotfish, is a speciality. 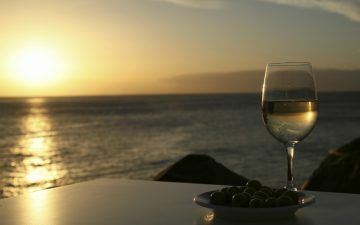 Or take a seat at Café Mesón de la Tierra and enjoy its wonderful views of the harbour. Lanzarote is also good for walking and cycling, with one vigorous trekking option being climbing Agujas Grandes. You can also go snorkelling or diving in Europe’s largest marine reserve – see if you can spot the hammerhead sharks.